MAM Software has developed a suite of advanced e-commerce solutions for both the wholesale automotive and retail automotive businesses. The web cart is fully integrated with the MAM Software suite of business-management software, enabling fast, efficient order processing, invoicing and payment handling. The backoffice system enable you to upload image in builk and edit product information quickly ensuring your customers always have access to the most uptodate product information. 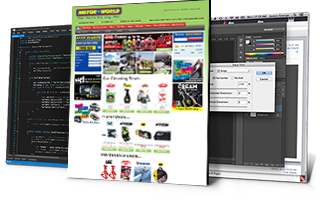 J+i delivers the contemporary frontend designs to suit the automotive business. With our knowledge of shopping carts and the eBay motors trade we can deliver a robust and function rich webcarts coupled with MAMs advanced functionality to search via their own number plate software to find the product quickly and easily. Interested in finding out more on a Autonet Retail Design by MAM Software? Please Contact Us for a free consultation on how we can help.